The history of robotics and artificial intelligence in many ways is also the history of humanity’s attempts to control such technologies. From the Golem of Prague to the military robots of modernity, the debate continues as to what degree of independence such entities should have and how to make sure that they do not turn on us, its inventors. Numerous recent advancements in all aspects of research, development and deployment of intelligent systems are well publicized but safety and security issues related to AI are rarely addressed. This book is proposed to mitigate this fundamental problem. 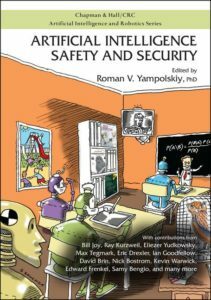 It is comprised of chapters from leading AI Safety researchers addressing different aspects of the AI control problem as it relates to the development of safe and secure artificial intelligence. 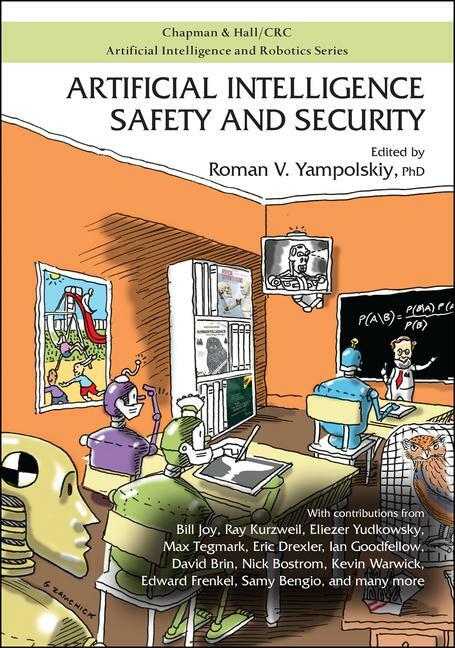 The book is the first edited volume dedicated to addressing challenges of constructing safe and secure advanced machine intelligence. Dr. Roman V. Yampolskiy is a Tenured Associate Professor in the department of Computer Engineering and Computer Science at the Speed School of Engineering, University of Louisville. He is the founding and current director of the Cyber Security Lab and an author of many books including Artificial Superintelligence: a Futuristic Approach. During his tenure at UofL, Dr. Yampolskiy has been recognized as: Distinguished Teaching Professor, Professor of the Year, Faculty Favorite, Top 4 Faculty, Leader in Engineering Education, Top 10 of Online College Professor of the Year, and Outstanding Early Career in Education award winner among many other honors and distinctions. Yampolskiy is a Senior member of IEEE and AGI; Member of Kentucky Academy of Science, former Research Advisor for MIRI and Associate of GCRI. Dr. Yampolskiy’s main areas of interest are AI Safety, Artificial Intelligence, Behavioral Biometrics, Cybersecurity, Genetic Algorithms, and Pattern Recognition. Dr. Yampolskiy is an author of over 150 publications including multiple journal articles and books. His research has been cited by 1000+ scientists and profiled in popular magazines both American and foreign (New Scientist, Poker Magazine, Science World Magazine), dozens of websites (BBC, MSNBC, Yahoo! News), on radio (German National Radio, Swedish National Radio) and TV. Dr. Yampolskiy’s research has been featured 1000+ times in numerous media reports in 30 languages.